As the Massachusetts men’s basketball team headed into the locker room at halftime on Thursday, all seemed to be going right. 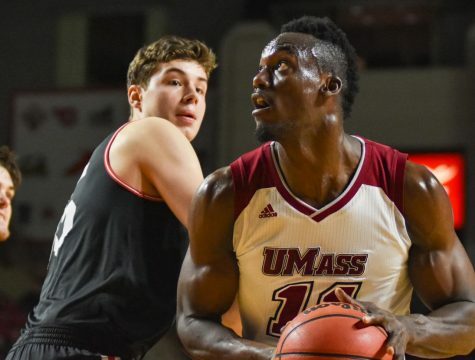 Raphiael Putney seemed to have found his shooting form, the Minutemen controlled the pace of the game and appeared to be well on their way towards their biggest win of the season and enter the discussion as a possible at-large bid in the NCAA Tournament. But then, as if in a blink of an eye, it was all gone. 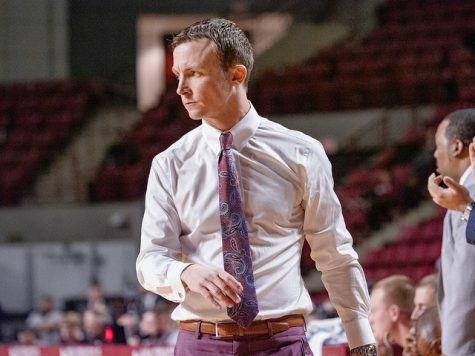 VCU (20-5, 8-2 Atlantic 10) used a 17-1 run to start the second half to completely change the tide of the affair, jumpstarting a dominant final frame to top the Minutemen, 86-68, in Richmond, Va., in the first meeting between the two sides since the Rams joined the A-10. 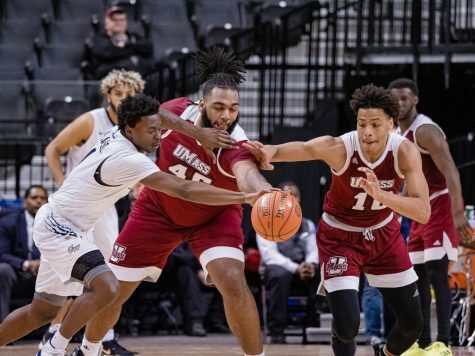 The Rams’ full-court pressure — which UMass (16-7, 6-4 A-10) handled for the most part in the first 20 minutes — swarmed the Minutemen just as they crossed half-court, making marching the ball past the midcourt a constant struggle. Chaz Williams, Trey Davis and company repeatedly found themselves in double teams without a passing lane, forcing a timeout, a jump ball or a turnover. 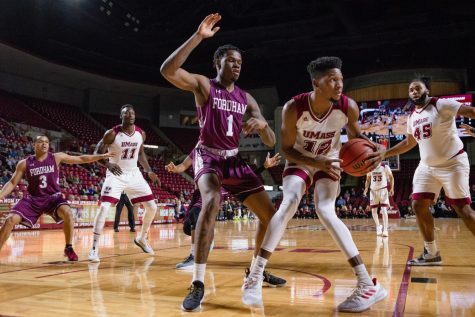 UMass turned the ball over on four of its first seven possessions of the second half, and committed 24 in total. VCU turned those 24 turnovers into 28 points. 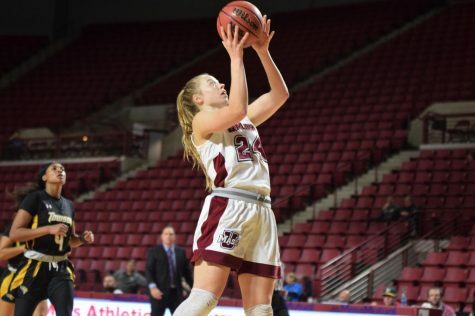 Meanwhile, the Rams came out of the break and hit seven of their first 10 shots, which allowed them to set up their full-court press as the Minutemen trailed behind the play. UMass’ first field goal of the second half didn’t come until six minutes, 23 seconds into the frame, but the damage had been done. VCU was in total control at 58-45, and the Minutemen never got within 12 points for the remainder of the game. The 18-point margin of defeat matches UMass’ worst loss of the season when it fell to NC State, 94-76, on Nov. 16. 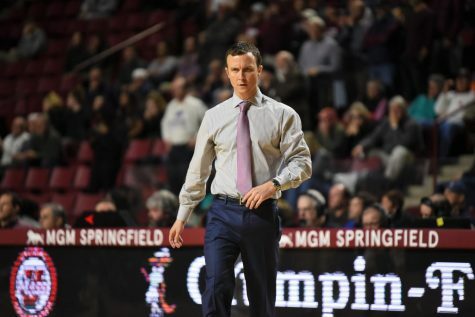 The Rams’ full-court pressure and depth at the guard position finally got the most of the Minutemen after they handled VCU’s “havoc” without many hiccups. 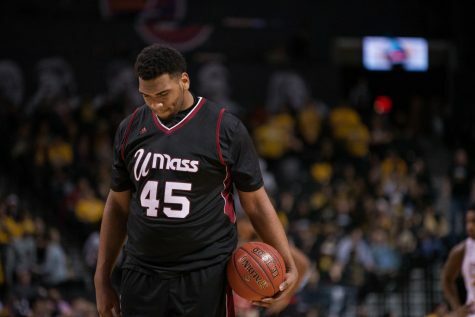 But UMass finally ran out of gas, as the Minutemen’s lack of guard depth was exposed by VCU’s four-guard lineup. 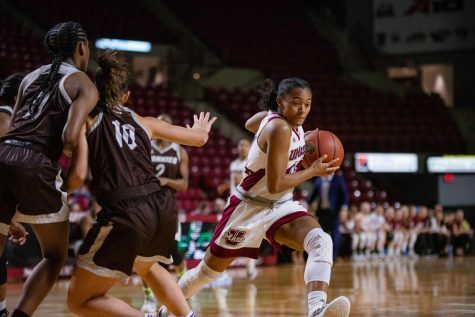 After falling behind, 32-28, with 6:10 left in the first half, UMass used a 9-0 run, capped by a Freddie Riley triple and Putney tip-in to build a 37-32 advantage. Putney was the major driving force for the Minutemen, netting 15 points on 6-of-7 shooting and 3-of-4 from beyond the arc. 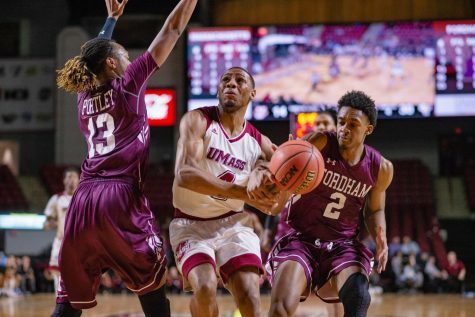 But Putney couldn’t get much going in the second half thanks in large part to UMass’ ball-control difficulties. He finished with 19 points to lead the team. Treveon Graham and Melvin Johnson powered VCU with 19 and 18 points, respectively, while Rob Brandenberg scored 12 points on his overall poor shooting night (3-of-16). The Minutemen don’t have any time to dwell on the loss as they welcome Temple to the Mullins Center on Saturday night for a 6 p.m. tip-off. 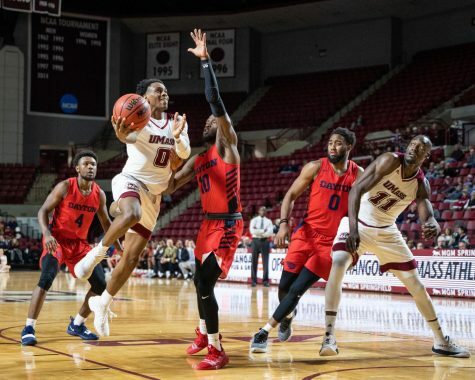 The Owls didn’t fare well either on Thursday, dropping an 84-83 decision at home to Duquesne, which was previously winless in the conference.